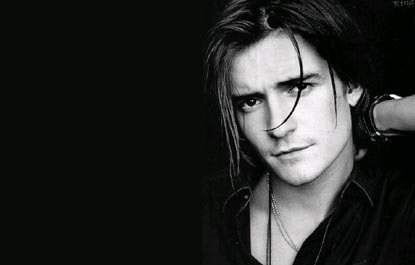 Orlando Bloom was born in Canterbury, Kent, England on January 13, 1977. The man he briefly knew as his father, Harry Bloom, was a legendary political activist who fought for civil rights in South Africa. But Harry died of a stroke when Orlando was only four years old. After that, Orlando and his older sister, Samantha, were raised by their mother, Sonia, and family friend, Colin Stone. When Orlando was 13, Sonia revealed to him that Colin was actually his biological father. Orlando attended St. Edmunds School in Canterbury but struggled in many courses because of dyslexia. He did embrace the arts, however, and enjoyed pottery, photography and sculpturing. He also participated in school plays and was active at his local theater. As a teen, Orlando landed his first job: he was a clay trapper at a pigeon shooting range. Encouraged by his mother, he and his sister began studying poetry and prose, eventually giving readings at Kent Festival. Orlando and Samantha won many poetry and Bible reciting competitions. Then Orlando, who always idolized larger-than-life characters, gravitated towards serious acting. Orlando Bloom, who made his feature film debut starring as 'Legolas' in Peter Jackson's Lord of the Rings: The Fellowship of the Ring, has captivated both audiences and filmmakers alike. He has continued to do so in the second and third installments of the Lord of the Rings trilogy -- The Two Towers and Return of the King. In the summer of 2003, he starred opposite Johnny Depp in Jerry Bruckheimer's successful blockbuster, Pirates of the Carribean, directed by Gore Verbinski. He is currently in production reprising his role as Will Turner in the highly anticipated sequels, Pirates of the Caribbean 2 & 3, teaming up once again with Johnny Depp and director Gore Verbinski. Bloom will next be seen in Ridley Scott's period drama, Kingdom of Heaven, in which he stars. Notably, he had appeared in Scott's award-winning film Black Hawk Down a few years prior. Bloom has also recently completed production on Cameron Crowe's Elizabethtown, opposite Kirsten Dunst and could last be seen in Wolfgang Peterson's epic, Troy, opposite Brad Pitt and Eric Bana. Additionally, he starred in Frank E. Flower's independent crime drama, Haven, which premiered at the 2004 Toronto Film Festival. Other film credits included: Gregor Jordan's Ned Kelly with Heath Ledger and The Calcium Kid for Working Title Films. At age 16, moved to London where he joined the National Youth Theatre for two seasons and then gained a scholarship to train with the British American Drama Academy. On completion of his scholarship, Bloom played the lead in "A Walk in the Vienna Woods" and made his screen debut in the feature film "Wilde," based on the life of Oscar Wilde. He was then accepted to Guildhall School of Music and Drama in London and chose to put his screen career on hold for the opportunity to further his education. During his time at Guildhall, Bloom performed in several productions including "Little Me," "A Month in the City," "Peer Gynt," "Mephisto," "Twelfth Night."